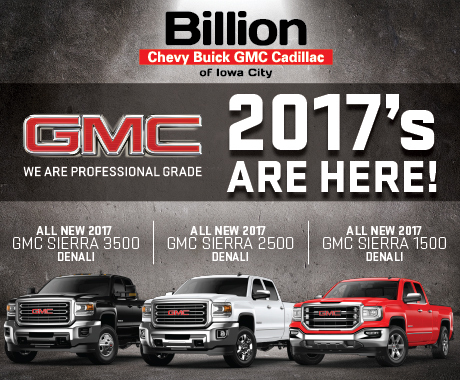 The 2017 GMC Sierra 1500 Denali light duty pickup truck elevates full-size pickup design, with signature Denali accents, distinctive lighting, sculpted front end, and bold lines. It’s the little things that set the Sierra 1500 Denali truck apart. That’s abundantly clear with new standard lighting features. Every detail of the Sierra 1500 Denali light-duty pickup truck was finely crafted to create a striking presence that commands attention, on and off the road. Denali style starts right up front with the unique signature three-bar chrome grille, featuring a distinct pattern and a finish that reflects light from every angle.